Seasons greetings and blessings for all!!! | FULL MOE PANIC!!! Seasons greetings and blessings for all!!! Christmas is right around the corner and i guess that i have caught the bug as well. So, here you are, a collection of my finest christmas pics. 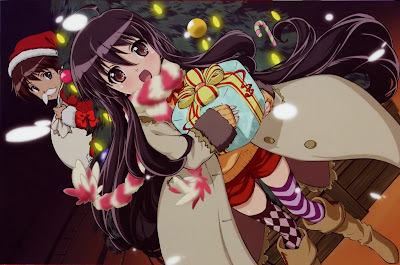 Merry Christmas folks and thanks for reading this blog. Just some side info for you. My alias Setsuna-san is derived from one of my favourite character. Sakurazaki Setsuna. And for any good Samaritan who might be lurking around here. Here’s my christmas wish list. 1. Lifetime supply of manga. 2. Lifetime supply of anime. 3. Everlasting high speed internet connection. 4. Lifetime supply of figures. 5. Fly free for life on any airlines bound for japan. 7. Being able to attend every comiket. 9. Publish my own manga. 10. Free for life shopping in Akihabara. Nice list ^^. 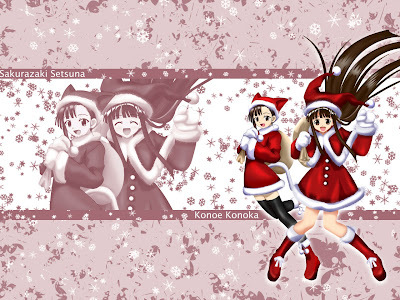 Happy Holidays to you Setsuna-san. I hope you do get something on that list. 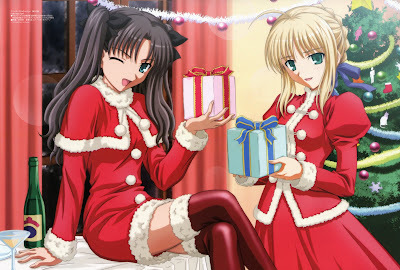 Btw, nice Christmas pictures…I’m planning on picking something for Christmas but everyone seems to be posting the ones I want lol. 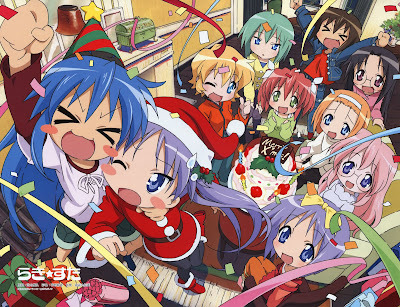 @all: merry christmas to you as well. 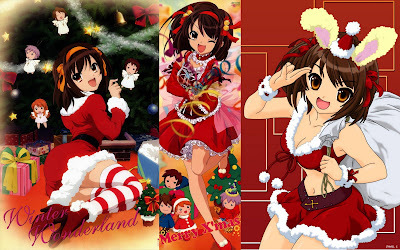 and may Haruhi bless you.